Whether a passenger or driver, the physical and mental stresses of motoring have been identified as one potential cause or at least contributor to spinal problems. 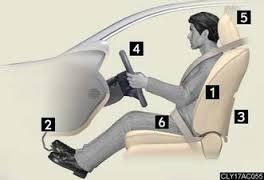 In addition to the stresses experienced in a regular chair, when in a vehicle your body also has to endure the forces of acceleration, deceleration, side to side sway and vibration from a range of road surfaces. Some vehicles are better than others when it comes to design, build and handling features to minimise the general impact on our bodies. To look at potentially improving on these within your own vehicle could mean to test drive and look to purchase a new one. One question that will apply to any vehicles however, is that of how is your posture in that seat? Have you ever thought to yourself.. What is mine like? Most modern vehicles allow for adjusting the height and tilt. If you are short increase the height so that you are not overstraining your neck to look over the steering wheel. At the same time check that your feet are not too far from the pedals. Try and strike the best balance between the two that you can. If you are tall, slide your car seat backwards as much as you practically can so that the knee height is reduced relative to that of the hips. The higher the knees are above the hips, the greater the pressure on the lower spine and pelvis. Ideally, the knees should be parallel or slightly lower than the level of the hips. Also ensure you are not too high up, you need to have some head room. The correct height should allow you to reach the pedals, steering wheel and all hand controls without over stretching. You should have a good view of the display and general good all round vision. The back rest should reach at least shoulder height and span the width of the shoulders. If there is an inbuilt lumbar support then ideally it should be adjustable in up/down and in/out increments. If your car is without one then buy a portable lumbar support or seat wedge (readily available online). The aim is to support the natural spinal curves and thus prevent slouching with the associated stresses this has. It may take a little getting used to but do make sure you are comfortable with any adjustments made. This should not be too far away as in the event of an accident the greater the head rest distance the greater the whiplash effect. Familiarise yourself with how to make adjustments to the steering wheel. This should be positioned centrally. Then, your arms should not be over-stretched or too close so that you are in a cramped position. 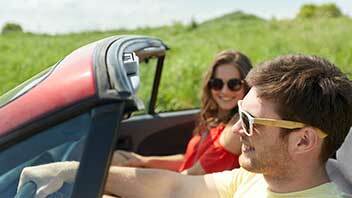 Hopefully you have power steering as this will reduce the strain on your arms and back. Pedals should be centrally positioned and not off-set. For long term spinal pain an automatic gearbox may offer some assistance. 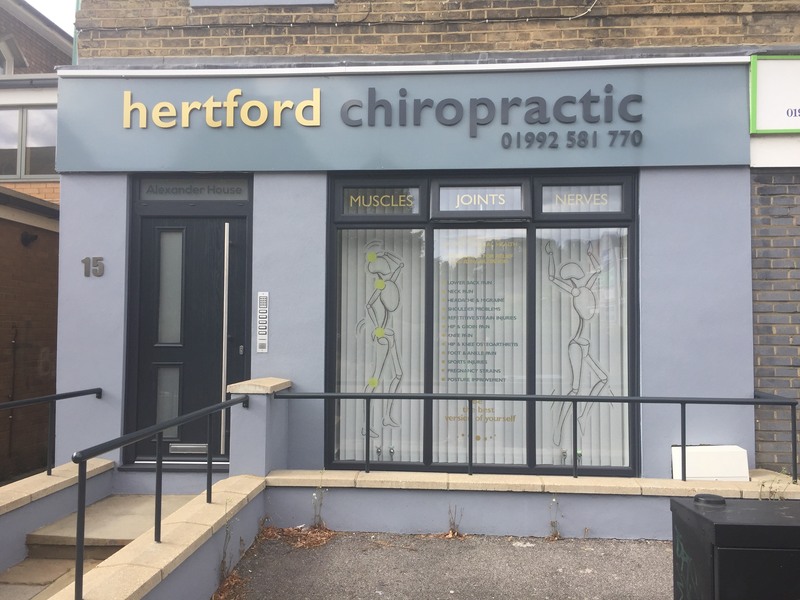 In general, the more adjustable features that a vehicle offers, the greater the likelihood of you achieving a posture that will minimise the toll on your body. Position your mirrors so that you can see all around the car with your eyes so that you font have to strain the neck. When getting in make sure you sit on the seat first and then swing your legs into the car. On getting out, swing your legs out of the car first keeping your knees together, and then lift your body from the seat. Avoid climbing out one leg at a time. Relax your shoulders and take a few deep breaths if you find your stress levels rising. If you get stuck in traffic try to circle your shoulders a few times. Air conditioning will help to keep you comfortable if it is hot or stuffy. To minimize the risk of back pain, stifness or headache it is advised to take a break at maximum of 2 hour intervals. Get out of your vehicle for a few minutes to walk and stretch the body (see relevant stretches). Take this opportunity to hydrate yourself (preferably with water) as dehydration is known to cause stiffness. To warm up and reduce the risk of injury you should stretch out a little before lifting (see stretches). Keep whatever it is you are lifting as close to your body as possible. Don’t rush and be sure to concentrate the mind on the task at hand. If you can position things at certain heights, then make sure they are not too low so that when handling loads in / out you can do so with a better posture and therefore minimise the risk of straining. Finally, if you can get to your destination without the car then it is more beneficial for you to be moving.